JPMorgan Chase & Co. shared a bunch of positive Q1 figures. Behold: EPS came out at $2.65 versus the expected earnings of $2.35 per share. The bank’s revenue exceeded the forecast level by $1.5 billion. Will these shiny numbers transform into a positive trend for the JPM stock? The market was grim about the performance of the US banking sector. However, two big players, JPMorgan and Wells Fargo, have dispelled these thoughts. And knowing investor psychology we can expect that they will be very eager to switch to optimism. That may set the bar higher for the banks and companies that will make their reports in the upcoming weeks. A deeper look in JPMorgan’s earnings report shows that other key parameters for the bank are quite satisfying: deposits and retail loans increased, ROE was 16%, corporate and investment banking did just fine, net income jumped by 8% y/y. It lifts the mood just to list all these things. 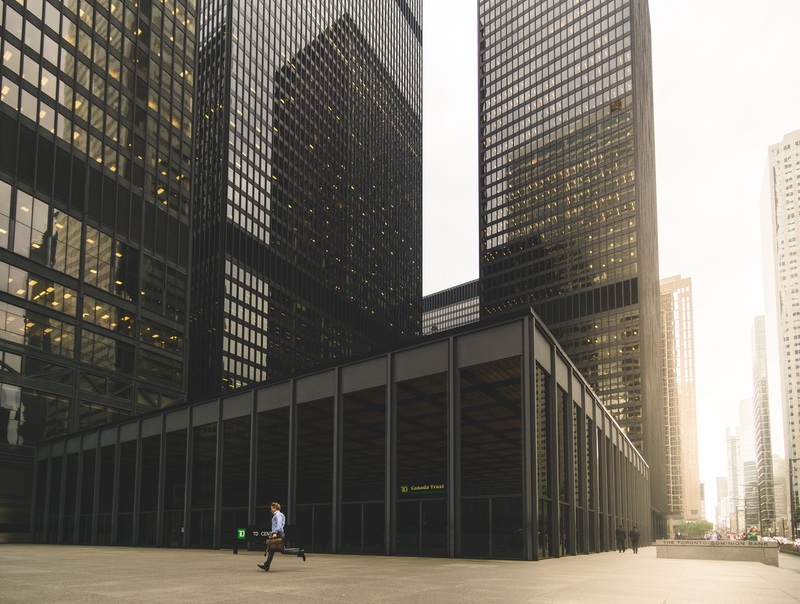 However, it’s necessary to take into account the fact that at the start of 2019 JPMorgan benefited from the fact that the Federal Reserve raised rates 4 times in 2018. The prospect of higher rates this year plunged last month, while many analysts have started discussing the possibility of a rate cut. The market players, of course, are aware of this. JPMorgan’s CFO Marianne Lake believes that the economic situation this year may turn out better than the market thinks as the Fed’s lower rates will spur growth. In addition, it’s worth pointing out that JPMorgan will collect equity underwriting fees for its services for many IPOs. All in all, if the stock manages to retain its post-earnings advance, it will have a chance to perform well enough. 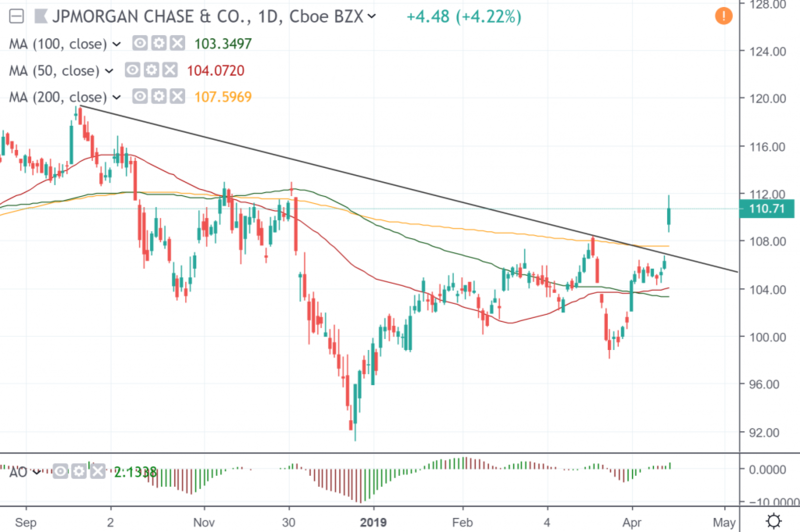 JPMorgan stock formed a bullish gap and leaped above $111.00. The new higher trading range will be in place as long as the price remains above the 200-day MA at $107.60. Resistance is provided by the highs of November and December in the $113.00/30 area. If bulls manage to push the stock higher, it will aim for $118.00. Previous articleLet’s prepare for the next big bull run in Gold.